As you stroll through the winding alleys of the Marrakech Medina you will see that the pathways are shared by pedestrians, mopeds, donkey-drawn carts and the Calèche. Calèches are horse-drawn carriages of which can hold four to five people. Moroccans have been using Calèches as a means of quickly traversing the narrow streets of the red city long before the arrival of the modern day car as they prove themselves to be an adept as well as glamorous mode of transport. Finding a Calèche is simple. You can either hail one as they gallop through the streets or head towards the western side of Jemaa al-Fnaa, Marrakech’s central square. 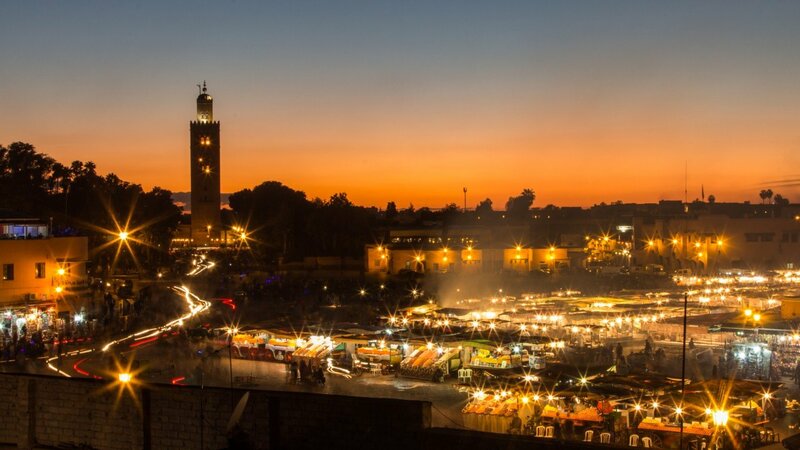 If you look to the horizon it’s impossible to miss the minaret tower of the famous Koutoubia Mosque and the line of Calèches which queue night and day in its direction. 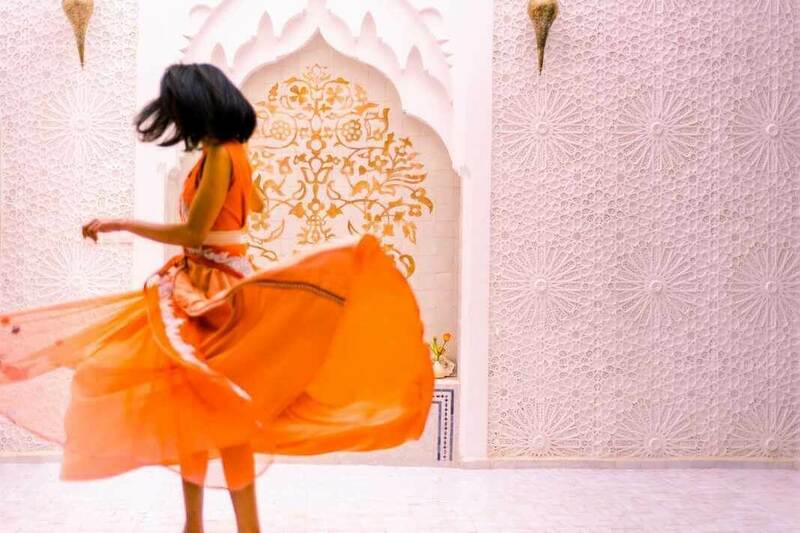 Upon first arriving to the red city of Marrakech, resident video blogger Jamie Horton and I learned that a Calèche ride was the perfect means of reaching the main attractions in Marrakech such as the Menara and Majorelle Gardens. The Calèche drivers of the sqaure are only a 10 minute stroll from the Riad Papillon so we wove our way through the crowds of Jemaa al-Fnaa to put this theory to the test. Finding a Calèche who will take us takes a matter of seconds and after a few moments of haggling, grins and handshakes we meet our driver who introduces himself as Aziz. As Jamie sets up his video camera equipment and my sister Holly reclines on the lavish back seats of the Calèche carriage, I quiz Aziz for more information about what he does for a living. Aziz informs me that he has been working as a Calèche driver in the red city for several years with his two horses, whose names are Badr and Ismail. The open top carriage allows fantastic views as we trot at a steady pace through the streets of the red city and around the Medina ramparts. Going for a Calèche ride is a unique and memorable way of getting from a to b and for 100 Dirham’s for a single journey around the Medina (£7.55) is entirely affordable when split between a group.